You almost need to see Dave Grohl’s documentary “Sound City” with headphones on. That’s the best way to pick up the nuances the legions of legendary musicians are talking about in this ratty old recording studio where some of the greatest rock records ever made were cut in the ‘70s through the ‘90s. 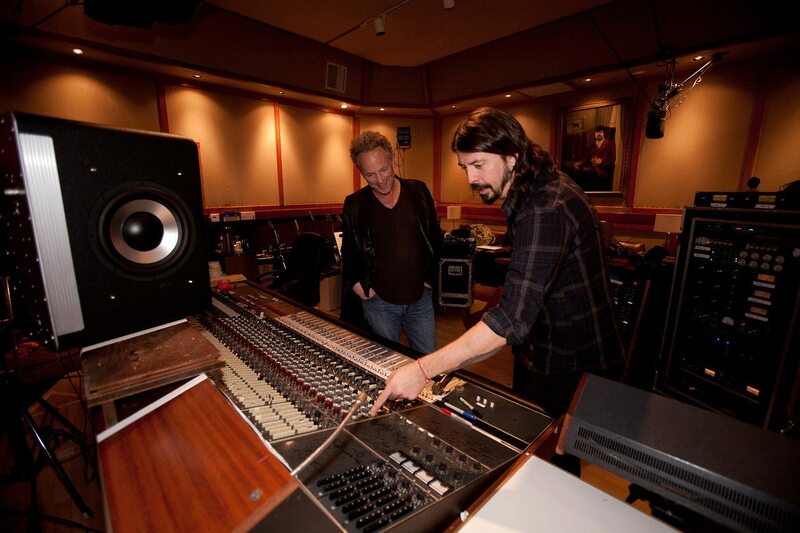 When Grohl, drummer with Nirvana and later Foo Fighters frontman, and other drummers such as Mick Fleetwood (Fleetwood Mac) talk about the presence, the unique sound that drums carried out of this dump of a studio in Van Nuys, California, headphones are the best way to sample that difference, that analog oomph that Sound City gave them. And as Fleetwood, Grohl and the others, from Tom Petty and Kevin Cronin (REO Speedwagon) to Rick Springfield and Neil Young, will tell you – you get the drums right, and the rest just falls into place. Grohl’s very entertaining and heavily musical film tears through decades of memorable bands and classic albums. Grohl got easy access to them all for a variety of reasons, not least of which was his ownership of the mixing console that was once Sound City’s claim to fame. These guys, from Fogerty to McCartney, Stevie Nicks to Cheap Trick, Ratt, Dio and Metallica, would love another crack at that magical mixer. In meeting the people who owned and ran Sound City, we hear them talk about how Mick Fleetwood met Lindsey Buckingham on a visit there, and that’s how Fleetwood Mac blew up. Old home movies and outtakes recreate how Tom Petty and the Heartbreakers cut their breakout album, “Damn the Torpedoes,” and then moved on to record by “tracking live,” eschewing overdubbing – trying to catch that raw in-performance sound on later CDs. Studio managers Paula Salvatore and Shivaun O’Brian, producers and recording engineers and others recall launching Rick Springfield’s career by convincing him to let Pat Benatar’s guitarist-husband do the guitar tracks on “Jesse’s Girl,” creating a blockbuster hit. Not that Springfield’s bull-terrier dog (in the studio when Neil Giraldo played) approved. “Sound City” encapsulates the digital recording revolution that did in most sound studios, and the last third of the film – artists such as Paul McCartney, Springfield, Fear frontman Lee Ving, recording new songs on the old console – drags and makes the movie lose its way. It feels like this is the reason Grohl made the film, and faded in importance as the historical stuff turned out so interesting. But it’s still a passion project, in all the best ways, a jaunty, juicy ramble through music history from Johnny Cash to Nine Inch Nails, Neil Young to the Red Hot Chili Peppers. MPAA Rating: Unrated, with profanity, innuendo. Credits: Directed by Sam Dave Grohl, written by Mark Monroe. A Roswell Films release.